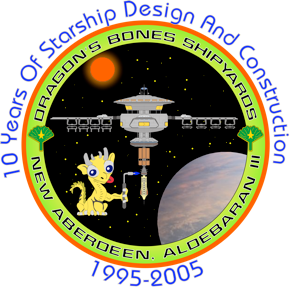 Dragon’s Bones Shipyard is named after an area in China which is rich in dinosaur fossils. 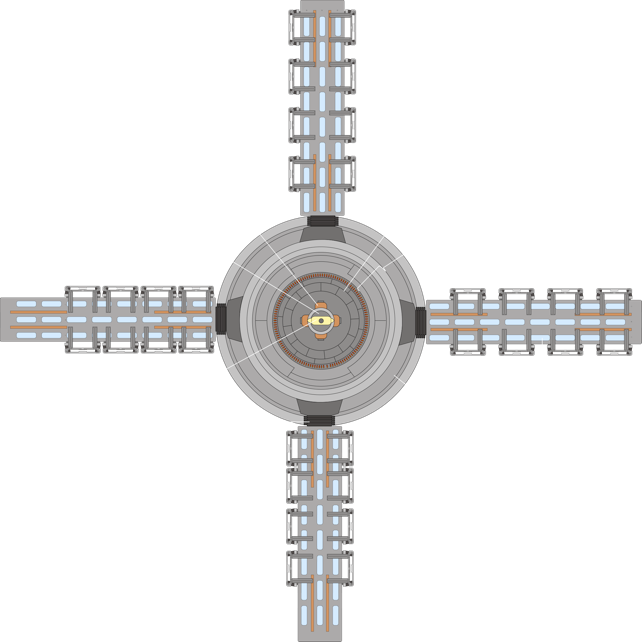 The station is based partially on the Jupiter Station which orbits Sol 5. Aldebaran (Alpha Tauri) star system, about 60 light-years away from the Sol System.  This station is designed so it has its own fabrication facility and four primary construction dry docks where starship space frames and primary systems are built.  A series of secondary docks located near the station are where the final starship assembly and testing is completed. This website is to display some of the artwork I have done over the last 15 years on my Macintosh Computer. Check out the Anniversary Poster Page For More Info! Please Sign My New Guestbook!